that's life! - 04.18.2019 » Download PDF magazines - Magazines Commumity! That’s life! is Australia’s No. 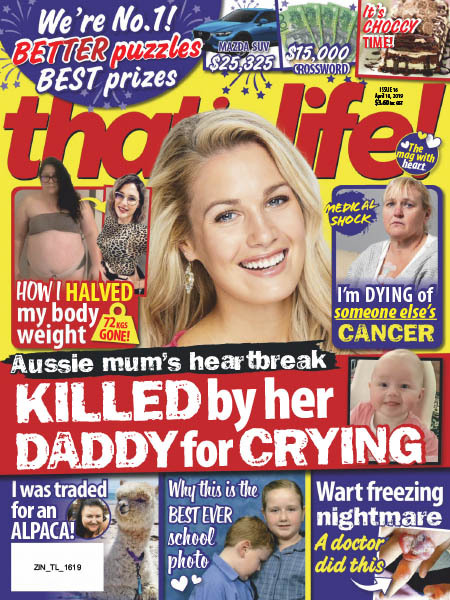 1 real-life magazine and the third most read magazine in the country. 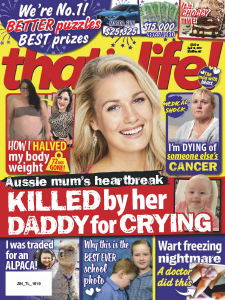 With the best real-life stories every week, readers enjoy a mix of budget-friendly recipes, handy tips, stars, fashion, beauty and fiction, as well as the incredible 20-page puzzle section – with each puzzle giving readers a chance to win amazing prizes and cash on offer! Please note, puzzles are static and not interactive. Most puzzles will not be able to be completed in the digital format.